Our innovative strategy for containment uses various types of physical, aerodynamic barriers that create an improved level of separation between the inside and outside environment for a defined volume. We deploy an excellent level of engineering to provide solutions for the containment system. 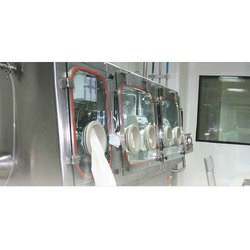 We are offering Pharmaceutical Isolator to our client. Looking for Isolator System ?